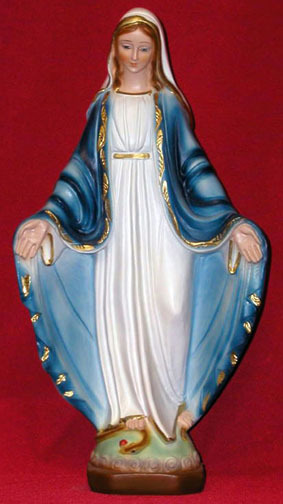 Lady of Grace in hand painted alabaster with a blue cape, 13". 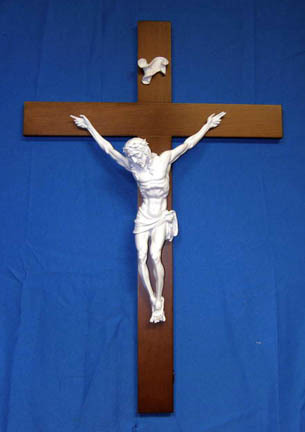 Also available with a gold cape (EG-2803-G). Made in Italy.